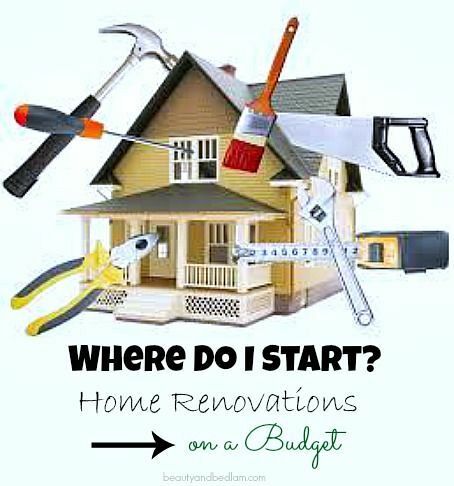 Renovation 101: Should you sell or keep the home as a rental? Those looking to make the most of a renovation are often left deciding between holding onto the property as a rental, or flipping it for profit. While those who cannot afford to hold onto the property will be forced to sell, for those with a choice the answer of which option is best isn’t always straightforward. For most the main aim is to build a property portfolio when investing and if you sell you’re not achieving that objective, Renovating for Profit founder Cherie Barber said. While opting to hold onto a property or not is highly dependent on your goals and the investment itself, renovated rentals do have some benefits worth considering. One property she renovated, in a western Sydney suburb is a clear example of this rental premium. Her three-bedroom property, bought for $360,000 in 2014, went through a recent $42,000 extensive renovation. The home was re-valued at $480,000, and the rent increased $150 a week – from $320 to $450. For many, this could push their negatively geared asset into positive cash flow territory. For those who intend to rent the property out, she recommended looking for hard-wearing fixtures and fittings. “Wood floors are especially susceptible to mishaps and carelessness,” Ms Barber said. It is important to ensure that what you’re looking to spend will improve your property’s increase in your rental returns. The more modern and aesthetically styled a property is, the greater will be the premium someone is willing to pay for it If an investor’s property is run down with broken fixtures, old interior fittings and damage to paintwork, carpets, doors and more, it will be difficult to rent at a good return. Hence renovating your property is a great opportunity to increase the value of the property and consequently its rental returns. For those deciding between renting and selling, it would be worthwhile to choose pre-renovating as this can affect the choices about the durability of finishes. While the same “big ticket” items would be on the list – such as renovating the kitchen and bathrooms or painting the walls – a rental property needs a durable renovation. Examples of this would be a tougher fabric for a rental in a window furnishing, one that you could easily wash and hang or wipe and clean, and a carpet would be a darker choice and closer to a commercial durability. Can I afford to hold the property? How will holding the property affect my serviceability? Is there a better way for me to be using my money? Can I actually get a tenant? What are the capital growth prospects for this suburb? How long would I hold onto the property for?